When a one on one private conversation is needed we have you covered. While group calling is the most popular means of communication on NexWave, there will be a time when you will need a private conversation. With easy directory access you can quickly select the person you want to talk with and simply press the push to talk button. When you're done taking privately you don't have to worry about returning to the group calling option. The radio returns to group calling after a couple of minutes of inactivity on private calls. 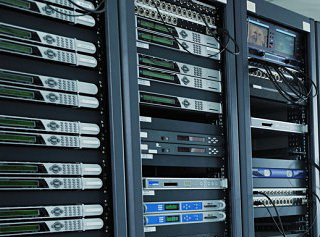 We use state of the art Kenwood digital repeaters to provide the best voice and data transmission possible. Built in security like NXDN technology and forward error correction with noise reduction technology make this an inherently secure network right out of the box. Kenwood has a long history of providing equipment that stands the test of time. With one of the lowest repeater failure rates in the industry you can rest assured knowing our network will be their when you need it. We strategically locate our towers to provide the best coverage while limiting excessive overlap. We invest a lot of time in planning every step making sure we are investing wisely helping us to keep our prices the lowest in the Midwest. We are continually looking to grow our network to provide the coverage were you need it. You can view our current coverage area by clicking here. If you have any questions about whether or not we can provide you coverage simply contact one of our sales representatives anytime. 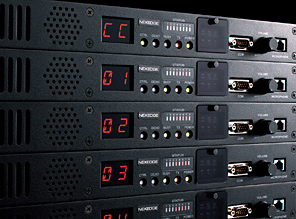 Not only do we protect your communications over the air but we also strive to provide the most secure IP network. We are always looking at ways to enhance our IP network protection. We have recently completed the upgrade to a private IP network making it the most secure Digital Wireless network in the Midwest. With our continued effort to add more and more online services we will always strive to maintain a strong and secure network. Having all this technology means absolutely nothing if you don't have the support to back it up. Let's face it, at some point we will have a failure of a piece of equipment on our network. Having dedicated system engineers and support technicians to respond to every issue means we are able to limit down time and get you back on the air fast. Couple this with radio technicians and an installation staff that's ready to support your business if you should ever develop a problem. We're here to help, so call us with any issues you may be having. One of the major benefits of NexWave digital Wireless over cell phones is the ability for instant group calling. Instead of calling one person at a time in order to find a tool or part you can make one call on NexWave and get an immediate response. Group calling is also great for problem solving. Having a group of people working on a problem can greatly reduce the amount of time it takes to find a resolution. It also allows managers and dispatchers to monitor all communications in real time. A benefit cellular just can't offer.